TORONTO, Jan. 11, 2019 /CNW/ - Khiron Life Sciences Corp. ("Khiron" or the "Company") (TSXV: KHRN), (OTCQB: KHRNF), (Frankfurt: A2JMZC), an integrated medical cannabis company with its core operations in Colombia, announced today that the Company will be title sponsor of the first Cannatech Panama summit taking place February 12-13 in Panama City, Panama. Khiron will be prominently featured throughout the summit and key members of the Company's senior medical and compliance team will deliver session presentations on global medical cannabis patient, research and compliance topics with particular impact in Latin America.  With the cannabis industry in Latin America projected to reach US$12 Billion within the next decade the highly anticipated Cannatech Panama summit brings together industry leaders from Latin America and around the world in the fields of science, medicine, finance, agri-tech, innovation and government policy to discuss the latest evidence based research, market developments and insight. Alvaro Torres, Co-founder and Chief Executive Officer, Khiron life Sciences, commented; "The Latin America cannabis industry is rapidly evolving, and as the dominant medical cannabis company in the region it is important that Khiron play a leadership role in this first ever CannaTech Panama summit. We are committed to meeting the medical needs of 1 million patients in Latin America and look forward to our global industry colleagues coming together in Panama as we work towards this goal." CannaTech is the only medical cannabis event of its kind with a global focus that offers senior industry leaders, medical and scientific experts, and new ventures the platform to come together, drive innovation, form partnerships and promote knowledge exchange. Khiron Life Sciences Corp. is positioned to be the dominant integrated medical cannabis company in Latin America. Khiron has core operations in Colombia and is fully licensed in the country for the cultivation, production, domestic distribution, and international export of both THC (tetrahydrocannabinol) and CBD (cannabidiol) medical cannabis. In May 2018, Khiron listed on the TSX Venture Exchange, becoming one of the first Colombian based medical cannabis companies to trade on any exchange globally. With a focused regional strategy and patient oriented approach, the Company combines global scientific expertise, agricultural advantages, branded product market entrance experience and education to drive prescription and brand loyalty to address priority medical conditions such as chronic pain, epilepsy, depression and anxiety in the Latin American market of over 620 million people. Khiron is led by Co-founder and Chief Executive Officer, Alvaro Torres, together with an experienced executive team, and a knowledgeable Board of Directors that includes former President of Mexico, Vicente Fox. This press release contains market and industry data and forecasts that were obtained from third-party sources, industry publications and publicly available information. Third-party sources generally state that the information contained therein has been obtained from sources believed to be reliable, but there can be no assurance as to the accuracy or completeness of included information. Although management believes it to be reliable, the Company has not independently verified any of the data from third-party sources referred to in this press release, or analyzed or verified the underlying studies or surveys relied upon or referred to by such sources, or ascertained the underlying economic assumptions relied upon by such sources. This press release may contain certain "forward-looking information" and "forward-looking statements" within the meaning of applicable Canadian securities legislation. All information contained herein that is not historical in nature may constitute forward-looking information. Forward-looking statements may be identified by statements containing the words "believes", "anticipates", "plans", "intends", "will", "should", "expects", "continue", "estimate", "forecasts" and other similar expressions. Forward-looking statements herein include, but are not limited to, statements regarding the final acceptance of the TSXV and the commencement of sales in Mexico. Readers are cautioned to not place undue reliance on forward-looking information. Actual results and developments may differ materially from those contemplated by these statements. Khiron undertakes no obligation to comment analyses, expectations or statements made by third-parties in respect of Khiron, its securities, or financial or operating results (as applicable). Although Khiron believes that the expectations reflected in forward-looking statements in this press release are reasonable, such forward-looking statement has been based on expectations, factors and assumptions concerning future events which may prove to be inaccurate and are subject to numerous risks and uncertainties, certain of which are beyond Khiron's control, including the risk factors discussed in Khiron's Annual Information Form which is available on Khiron's SEDAR profile at www.sedar.com. The forward-looking information contained in this press release is expressly qualified by this cautionary statement and are made as of the date hereof. Khiron disclaims any intention and has no obligation or responsibility, except as required by law, to update or revise any forward-looking information, whether as a result of new information, future events or otherwise. Neither the TSXV nor its Regulation Services Provider (as that term is defined in the policies of the TSXV) accepts responsibility for the adequacy or accuracy of this press release. SOURCE Khiron Life Sciences Corp.
© 2019 Khiron Life Sciences Corp. All Rights Reserved.